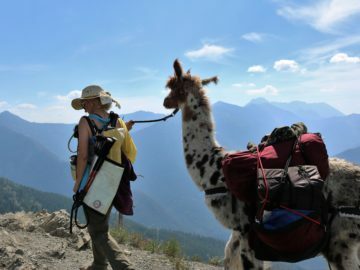 Swan Mountain Llama Trekking offers a wide spectrum of llama pack trips and for novice and experienced hikers alike in the beautiful Glacier Country of Northwest Montana. Whether you only have 2-hours and are looking for something novel and different to do on your summer vacation, or if you are planning a multi-day Trek of a Lifetime into the Bob Marshall Wilderness, Swan Mountain Llama Trekking can accommodate you. This is a great family activity, this unique experience makes for the perfect summer vacation and is guaranteed to be full of everlasting memories. Our Llama Trekking trips offer vacationers to the Northwest region of Montana an opportunity to do something totally different on their vacations. 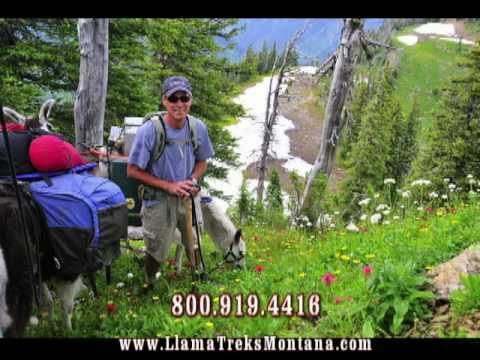 We offer guided llama treks for families that want to add something unique and novel to their Montana vacation plans. Customers can select from a variety of Montana camping trips, or reserve one of our multi-day Montana family summer vacation. If you’re looking for something unique, our options include evening wine and cheese treks, llama packing clinics, and yoga with a llama. We specialize in group llama treks, however if you’re interested in something other than our pre-planned itineraries, we can customize a Montana llama pack trip for your group, club or family. If you’re looking for things to do in Glacier National Park, we have plenty of daily llama treks and activities to choose from. Our Llama Trekking trips offer vacationers to the Northwest region of Montana an opportunity to do something totally different on their vacations. Strong and gentle, quiet and agile, llamas are the perfect companion for a pack trip into Montana’s Glacier Country. We've teamed up with our sister company Swan Mountain Outfitters to offer a wide range of Montana summer vacation packages that the whole family will enjoy.